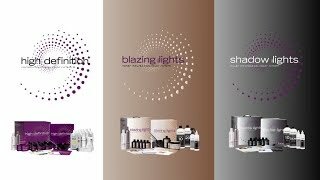 In my last post, I asked the question, “Did you know that you can easily do highlights and lowlights at the same time without using bleach?” If you read that post and watched the video, you would have learned all about Scruples Illusionist Cream One-Step Highlighting System and Scruples Hypnotic Cream Lowlighting System. Well, as it so happens, there is another system on the market that will do much the same thing…and it is also by Scruples! Blazing Highlights is the original one-step lift and tone system that hit the professional market over 20 years ago! Before Blazing, the colorist had to bleach the hair to the desired lightness, rinse, condition, and then dry the hair. 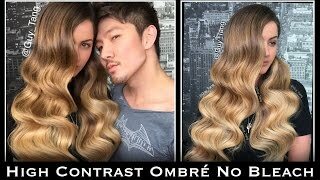 Then the colorist would apply a toner, process for the appropriate time, rinse, condition, and dry the hair all over again. Blazing was revolutionary. 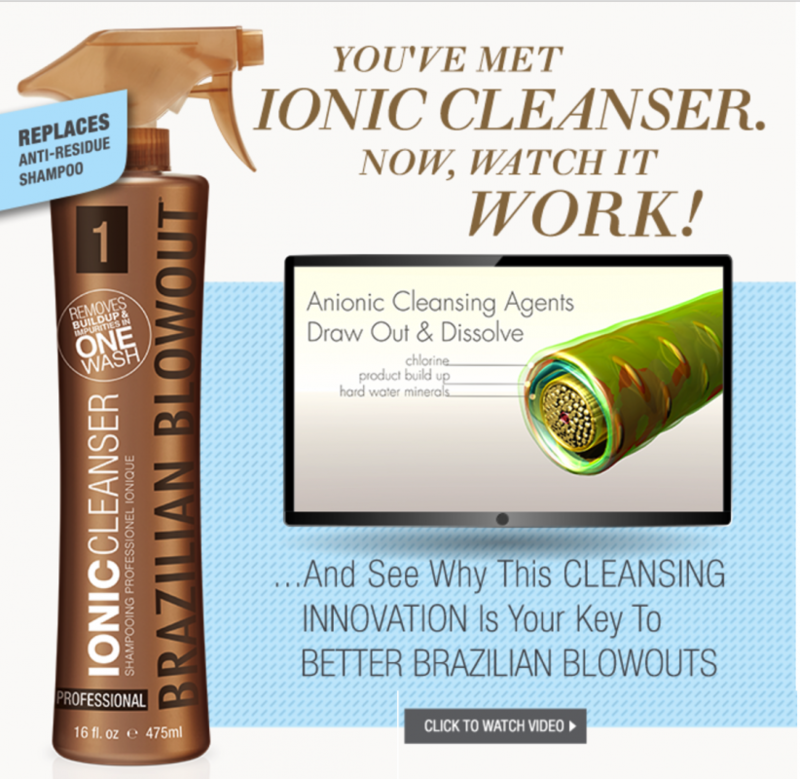 It allowed you to lift the hair and apply the toner all in one step, using no higher than 20 volume developer! Still to this day, there is no other product from a competing manufacturer that will do quite what Blazing will do! 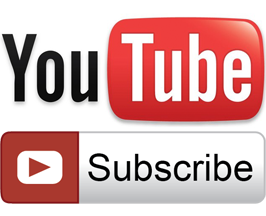 Watch the following video and learn how to use Scruples Blazing Hightlights Toner-Infused Gel Color and Shadow Lowlights Filler-Infused Gel Color Systems with Amie Breckenridge Goltz, Scruples Director of Education. Blazing Highlights lifts 1 to 7 levels on natural or color-treated hair with 5 gel color options that can create up to 19 different shades! 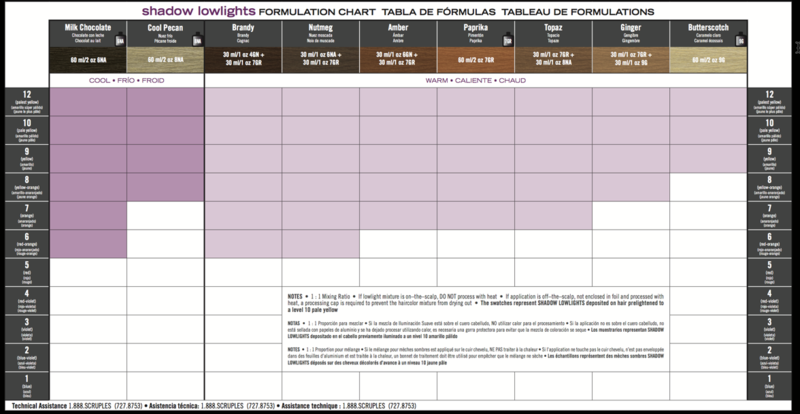 Blazing Highlights Oil Lightner encapsulates the color molecule working to maintain the integrity of the hair throughout the lightening process. The concentrated persulfated Booster provides accelerated lightening action. This colorist controlled lift is not a powdered bleach and will not overshoot your desired level, insuring accurate lightening results. Each scoop of the x-tra Light Booster Concentrate represents 1 1/2 – 2 levels of lift. To develop your highlights, use only a 10 or 20 volume Pure Oxi Liguid Developer. Nothing over 20 volume developer is ever needed with this system. 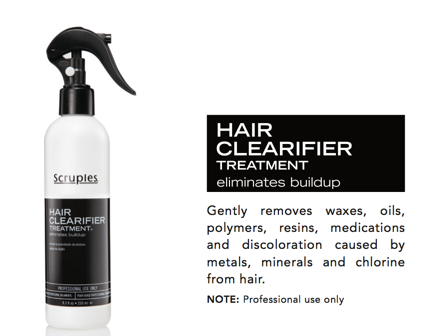 For optimal results, always apply Hair Clearifier Treatment to purify your clients hair before the color service. Find the natural or color treated level down the left side of the chart and the desired share across the top. Intersect the two and go to the box to find your formulation. You will have two choices: Medium Lift and Maximum Lift. Medium Lift is when more color deposit is desired. Maximum Lift is when more lift is desired. You should also take into consideration the hair’s integrity and texture. Fine, porous hair is going to lift much easier than thick, coarse hair. For fine hair, choose Medium Lift and for thick, coarse hair, choose Maximum Lift. Measure out level scoops of Booster Powder. For tinted hair or hard water deposit, add one additional scoop. For both, add only 1 additional scoop. 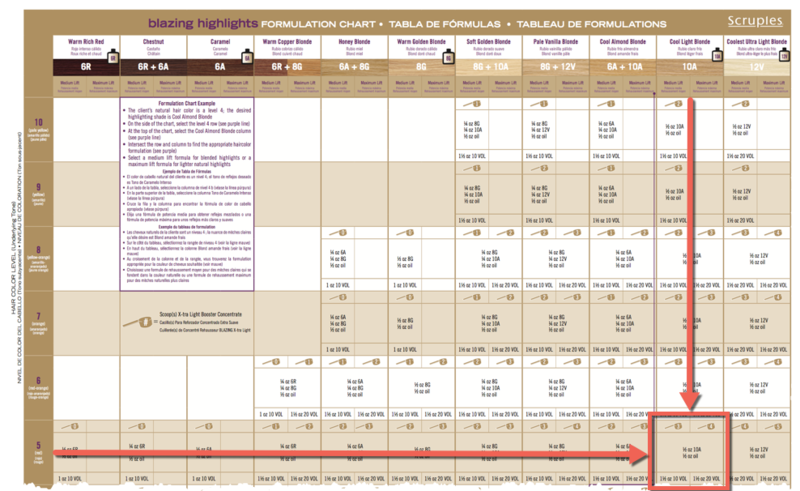 Measure Blazing Hair Color according to chart. In the same cup, measure recommended amount of Oil Lightener. Dissolve powder, color, and oil together in the bowl. Measure recommended developer and pour in slowly, mixing to a gel-like consistency. For optimal results, do not apply Blazing to hair that is 75% or more gray. For maximum tonal deposit, double the dye load by increasing the color from 1/2 oz to 1 oz. DO NOT increase the other components! Blazing Highlights is meant to be used for an off-the-scalp method of application only! 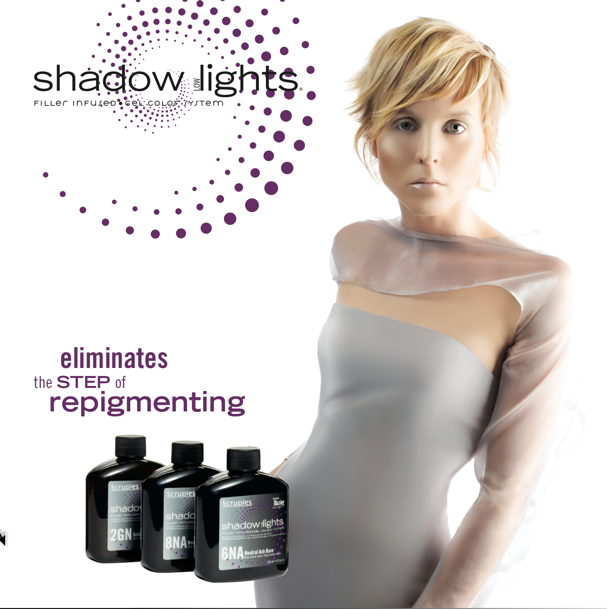 Next add Shadow Lowlights Gel-Infused Color to create a multi-dimensional effect. 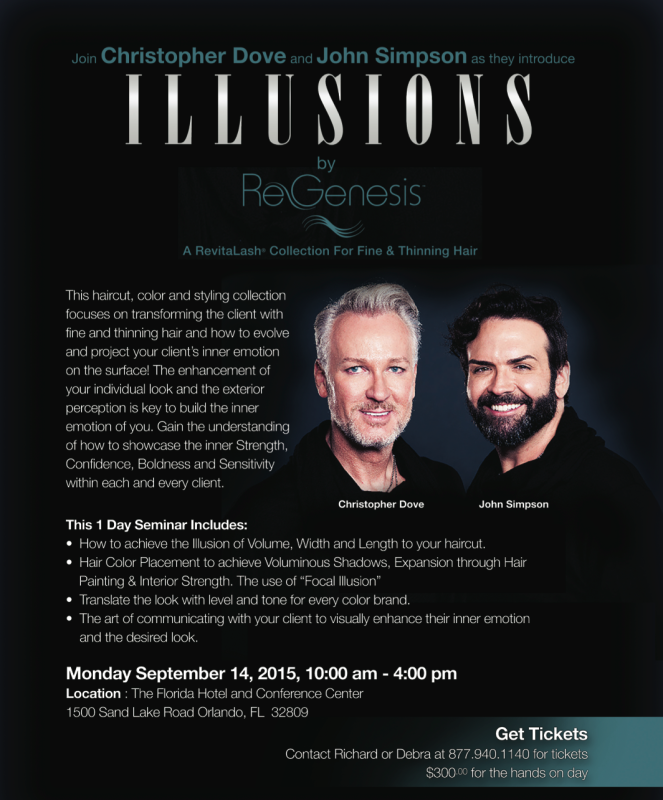 Each gel color in the Shadow Lowlights System contains the proper filler to achieve expert results in a single step. Seven gel colors mix to create 18 shades of beautiful, natural-looking lowlights. This system processes with either a 10 volume or a Demi-Permanent developer for lowlights, or can be used as an all-over tintback. Select a shade from the Shadow Swatchbook that compliments the Blazing colors already chosen. Espresso was the chosen shade in the video. Add an equal amount of either 10 or Demi-Permanent developer. This mixes at a 1:1 ratio. Mix together to a gel-like consistency. Shadow can be used for 100% gray coverage. Mix with Pure Oxi 20 Volume Developer at a 1:1 ratio. For porous or damaged hair, use White Tea Miracle Foam Leave-In Conditioner. For maximum total deposit, double the dye load by increasing the color from a 1:1 ratio to a 2:1 ratio. When using an on-the-scalp method of application, Heat is not recommended. Now we are ready to apply our Blazing Highlights and Shadow Lowlights. Amy uses a diamond pattern to achieve maximum color to the fine hair model. (See the video for full application technique) She uses weaving instead of slicing to prevent it looking too stripy in the hair. Take a fine section that you can see through to be sure that the color is going to evenly saturate. Start with the lightest highlight shade, because in the front is usually where you want to see the most color deposit. Turn the brush at an angle so you will have a more natural transition as your highlight starts. She uses a foil on foil, or double foil method of application. The second foil eliminates having to fold it up and blend the hair in together. Take the next section of hair out of the way and add the second color. Repeat the process for the entire head. Process under a preheated dryer at medium heat for 5-20 minutes. When processing with heat, be sure to do a 5-10 minute cool down. If you choose to process at room temperature, process for 45 minutes from the time the last foil is applied. Rinse hair removing residual color from hair. Shampoo with preferred Scruples shampoo. Use Scruples NoH2O2 No Peroxide to remove remaining peroxide residue from hair. Spray and let set for 3-5 minutes. Rinse NoH2O2 from hair. Apply and rinse preferred Scruples conditioner. 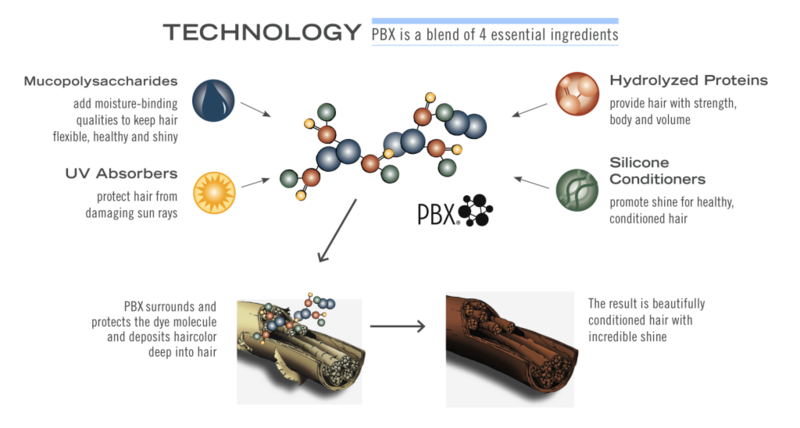 The results leave the hair with a beautiful multi-dimensional effect! All 3 systems (High Definition Gel Color, Blazing Highlights, and Shadow Lowlights) can process simultaneously allowing stylists to save time, make more money, and stretch their artistic freedom. The model’s color was achieved using Scruples High Definition custom mixing gel color system level 5 Gold, Blazing Highlights Honey and Caramel, and Shadow Lowlight Espresso.